The cubes in this set are durable and long lasting. 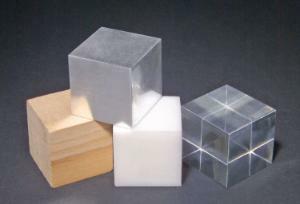 This set of cubes includes one of each acrylic, pine, nylon, and aluminum cube. All cubes are 1" and packaged in a poly bag.